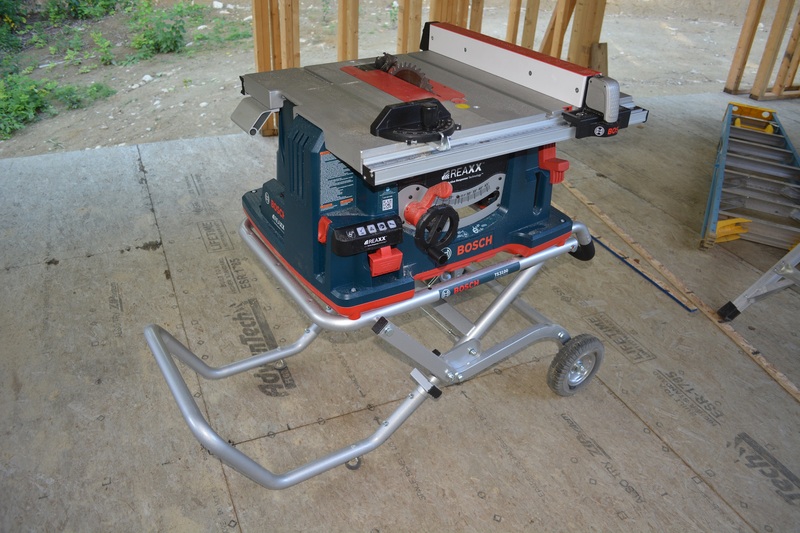 The U.S. International Trade Commission found the Bosch Reaxx Jobsite Table Saw with active injury mitigation technology violates two SawStop U.S. patents. While SawStop officials applauded a U.S. International Trade Commission decision blocking the import and sale of the Bosch Reaxx saw, Bosch officials are still holding out hope that presidential review will reverse the ruling. Concluding a lengthy investigation, the ITC on January 27 ruled that the Bosch Reaxx saw violates two patents held by SawStop for technology designed to protect users from accidentally being cut by the saw. The ITC issued a cease-and-desist order banning Bosch from importing or selling the saws as well as any supporting parts in the United States. The President’s International Trade Representative has 60 days to ratify or reverse the decision. Both the SawStop saws and the Bosch saws are designed to protect users from accidental contact with the blade. They both sense contact between the blade and flesh. Once contact is detected, the SawStop saw instantly drives a spring loaded block of aluminum into the blade to stop its motion while simultaneously dropping the blade below the saw table. The Bosch saw does not stop the blade rotation, but it uses a powerful gas cartridge to instantly propel the blade below the table and out of harm’s way. The two SawStop patents that the ITC found Bosch violated will expire in 2020 and 2022. Where this leaves U.S. consumers who have already bought Bosch Reaxx saws remains to be seen. Neither Bosch nor SawStop officials have responded to questions about potentially licensing SawStop patents to Bosch or any possible support for existing Bosch Reaxx customers. The Bosch Reaxx saw is sold in the United States by Robert Bosch Tool Corp. of Mount Prospect, Illinois, a subsidiary of Robert Bosch GmbH of Baden-Wuerttemberg, Germany. Well done Mr. Sampson! I applaud your well written and informative article. It's a welcome change from other's articles that were skimpy on details and poorly written.